Organizers said that 100 workers protested for higher wages in Los Angeles, and five were arrested. 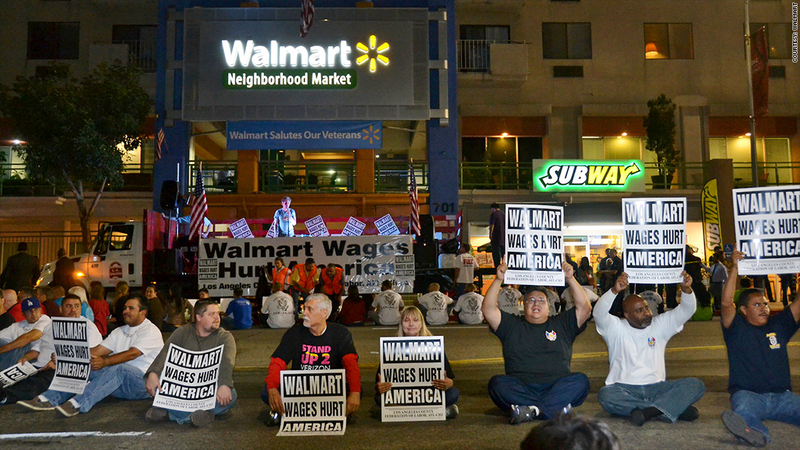 Five Wal-Mart workers were arrested Thursday night while protesting for higher wages in Los Angeles. Wal-Mart spokeswoman Brooke Buchanan said that the company knows of three current and two former employees who were arrested. The workers were among 49 other activists arrested, according to OUR Walmart, the union-backed group behind the demonstrations. The organizing group, including clergy members and community organizers, had been staging a two-day strike, asking the nation's largest retailer for higher pay, better benefits and hours, and the right to speak up without retaliation. OUR Walmart estimated that 100 workers picketed over the course of two days. Protestors were sitting in the middle of the street in front of the downtown LA store, when police tried to clear the area. Those who refused police orders to clear the street after their permit expired at 6 p.m. were arrested, according to Los Angeles Police Department spokesman Bruce Borihanh. 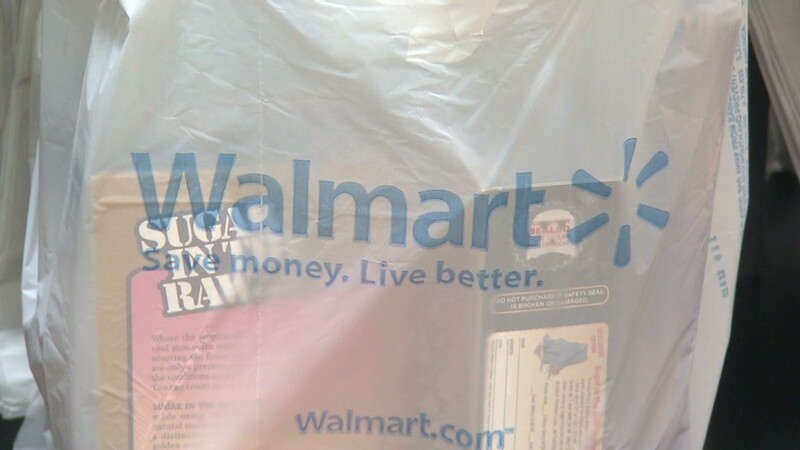 Wal-Mart's Buchanan said that the company is proud of the opportunity it provides its workers. "The reason why so few Wal-Mart associates are participating is because they know the opportunity that exists to move up the ladder quickly," she said. The arrests come on the heels of nearly a year of similar protests across the country. The movement began last November on Black Friday. Hundreds of activists and workers demonstrated at about 100 Wal-Mart (WMT) stores nationwide. In one of the biggest protests of the day, nine people were arrested outside of a Paramount, Calif., Wal-Mart store for failing to disperse. OUR Walmart said at the time that three of those arrested were Wal-Mart workers. Since then, workers have continued to walk off work, claiming that they can't survive on Wal-Mart wages and get retaliated against for speaking out. Organizers and workers said that this is not the last of the protests as the holiday season nears, though they would not comment on specific plans.